The Cabinet will decide whether to allow or arrest Sudanese President Omar Hassan al-Bashir should he come again in Malawi in July this year to attend the African Union (AU) summit for heads of State. 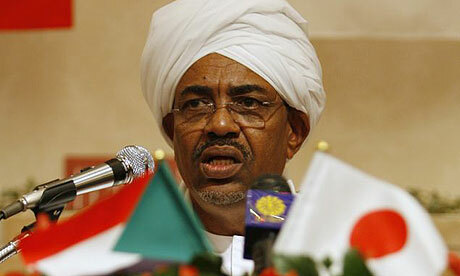 Al-Bashir faces two arrest warrants from the International Criminal Court (ICC) to answer about 10 counts of war crimes, crimes against humanity and genocide in Darfur. Minister of Foreign Affairs and International Cooperation Professor Peter Mutharika said the whole government machinery needs to sit down to decide whether to allow, deny entry or arrest al Bashir if he comes again. “I am just a Foreign Minister. I am too small for this. This is a big decision. The entire government has to meet to decide. Let’s wait and see what happens,” said Mutharika when asked whether government will take another risk to upset donors by allowing al Bashir into the country in July. As a signatory to the ICC’s statute, Malawi is obligated to execute the world court’s warrant and arrest the Sudanese leader on its soil, but the country failed to do so when al-Bashir came for the Comesa summit in October last year. Currently, Malawi is facing a case with ICC which in December reported the country to UN Security Council because it failed to cooperate with the court. The decision by Malawi to invite al-Bashir to a trade summit last October was also part of the concerns that led to the suspension of K58.5 billion (about $350 million) Millennium Challenge Corporation (MCC) energy grant last week. Mutharika said government is waiting for the list of all invited delegates from AU secretariat to confirm Sudanese leader’s invitation to the summit before determining the way forward on the matter. “Why don’t we wait for the AU to make invitations? I am sure that once they make the invitations, they will show us the list. Then we will look at it. “As far as I know, the invitations have not yet been sent out. We are just a host country,” said Mutharika. On MCC, Mutharika said he was optimistic that US will not terminate the suspended grant after June. “I hope that I will talk with the [MCC Vice-President] shortly because we have been missing each other. They have given us until June to make certain adjustments, but we are already making a lot of progress. “You have seen the academic freedom thing, the cut of the size of the Cabinet by almost 50 percent and now we have the commission of inquiry on July 20. I hope that by June, they will be satisfied enough that they will continue with it and not suspend it,” said Mutharika. Minister of Natural Resources, Energy and Environment Goodall Gondwe recently said Malawi desperately needs the grant considering how important it is to the energy sector. MCC signed a five year $350 million compact with Malawi on April 7, last year, focusing on the power sector which is expected to benefit nearly six million people. US Congressman Frank Wolf from Virginia wrote President Barack Obama in October, asking him to remove Malawi from the MCC programmes for hosting al-Bashir. MCC board last week gave the Malawi Government until June to redeem itself. The board’s meeting was chaired by US Secretary of State Hillary Clinton.